My FAV bikini ever. The contrast of this bikini against a tan is amazing. It makes you look more tanned than you are which helloooooo is amazing. The turquiose zip detail on the top finishes it off for me. Its almost like a H&M bikini which H&M are my fav shop for bikinis. I've had it for two years now and its still as good as new! 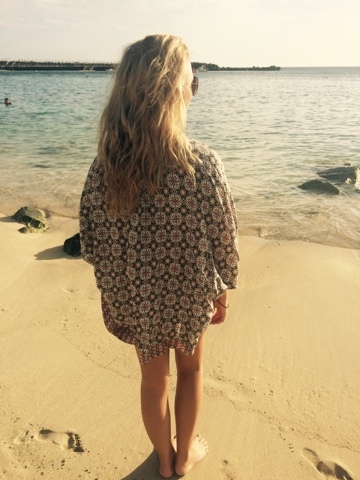 Kimonos are great for the beach and to hoy on over your bikini so you don't feel as naked! Where is your fav place to shop for bikinis?